Hill racing can often be an uphill challenge, but few events take the turn of phrase literally by cutting out the downhill bits. This Saturday’s (13 April) Aonach Mor Uphill Race is one of them. The event, one of only a few of its kind in Scotland, uses the Nevis Range Downhill Black Mountain Bike Route, also known as ‘The Top Chief’, as its route. Going the other way, naturally. The course is a lung-busting 5k, with 500m of ascent. But once runners are at the top, their hard work will be done: a free gondola ride back down to the base station awaits them if they wish. Although the event is certainly challenging, organisers of the Aonach Mor Uphill Race stress that it makes a great introduction to hill running, and that participants of all abilities are welcome. Last year’s event was won by Andrew Barrington (Lochaber AC), who made it to the top of the track in 24.58. First lady was Barrington’s Lochaber clubmate and veteran athlete Marie Meldrum, in 31.29. Runners who like the idea of racing uphill but who can’t make it along this weekend should mark their diaries for Saturday, 8 June, instead, when Aonach Mor’s sister event, the second Glencoe Mountain Uphill Running Race, will be held in Fort William. 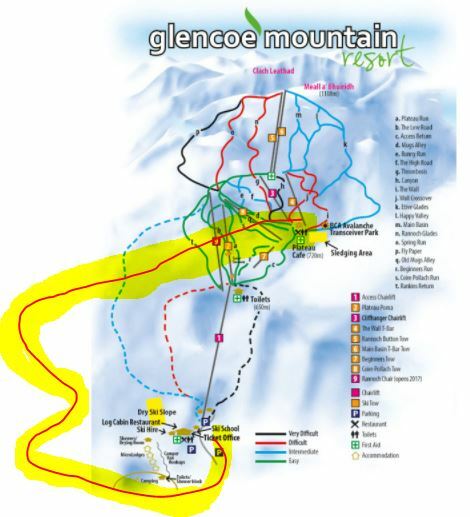 The route for this event – which is also 5km long and has about 500m of ascent – starts at Glencoe Mountain Resort Restaurant and finishes close to the Plateau Cafe. As with the Aonach Mor event, runners are free to take the chairlift back down after their efforts. Participants should note, however, that the Glencoe event requires runners to carry or wear full body cover. Entries to both races cost £12 and include a T-shirt. Runners can enter on the day or in advance through SIEntries.